VirtualEnv is very convenient tool if you are using python based software for your projects. It works on Windows, Linux and Mac. 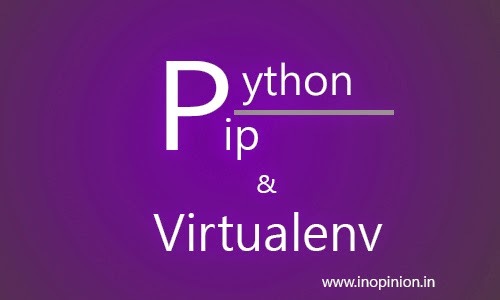 Many Python developers use pip and virtualenv. I am a Django developer and i love virtualenv because it gives me option to use different versions of Django on the same system. For example if you are using Django for web development, then virtualenv can help you to work with different versions of Django framework. Same is also applicable to Flask. Virtualenv creates a virtual environment for your project, where you can install another version of the software you are using. Here we’ll see how to install Python, Pip and virtualenv on windows PC system. First install python on your windows. Go to the official python website and download the python version you like. Also make sure that it is according to your operating system type, 32-bit or 64-bit. After downloading it run the executable file to install it. Here get-pip.py is the name of pip file. If you gave it other name then type that name. Be sure to delimit it from existing values with a semicolon. This command will start downloading packages required for virtualenv and later it’ll install it. Thanks Siddharth. This is very helpful. i am using Django 1.6 and 1.7 (only for testing purpose) for web development and virtualenv is really cool thing for managing these different version projects.